Immerse yourself in a heart-pumping, 2 to 3 hour outdoor experience in Virginia's South Run Park- the ideal location for big adventure! Immerse yourself in a heart-pumping, 2 to 3 hour outdoor experience! Virginia's South Run Park is the ideal location for big adventure. 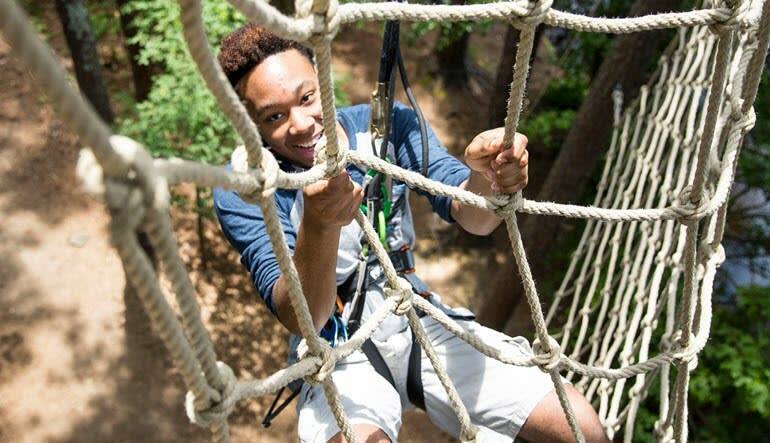 Overlook Fairfax county as you and your gang swing, zip, climb and conquer this celebrated canopy tour from high up in the trees. Varying ziplines (each with a view better than the last! ), our Tarzan swing, numerous plank crossings, and many more obstacles make this team building experience the liveliest in Virginia. Challenge yourself and motivate others as you race to the finish! 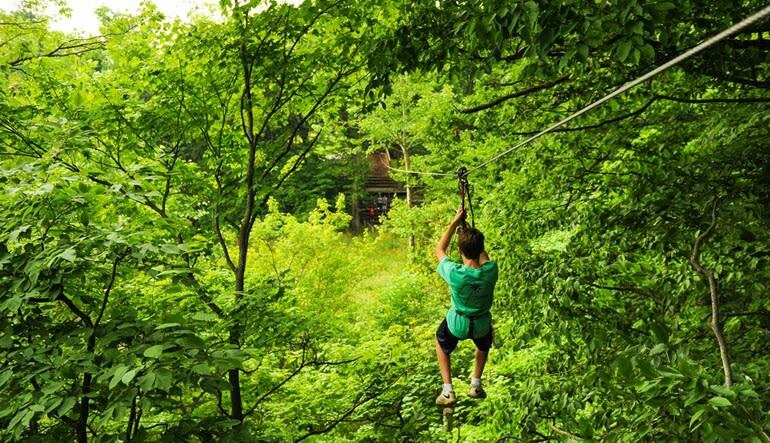 Experience a 2 to 3 hour zipline and canopy tour in Virginia's South Run park! Begin your tour with a 30 minute training session. Explore numerous unique treetop crossings! Swoop from terrace to terrace on daring ziplines! Swing boldly through our Tarzan swing! 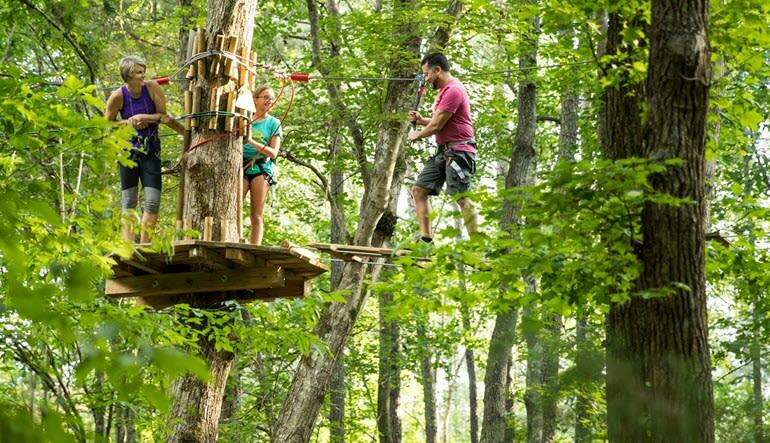 Climb other exciting obstacles on our course that sprawls over 3,200 ft through the trees! Even if you have a fear of heights, the guides are there to lend a hand to help ease your nerves. Put yourself to the test today!